So May is National Strawberry Month. And apparently to me that translates to: "National Combine Booze and Strawberries Month." My strawberry cilantro margaritas were a hit for Cinco de Mayo, but why stop there? It wouldn't be a month at eisforeat.com without a jelly shot recipe. 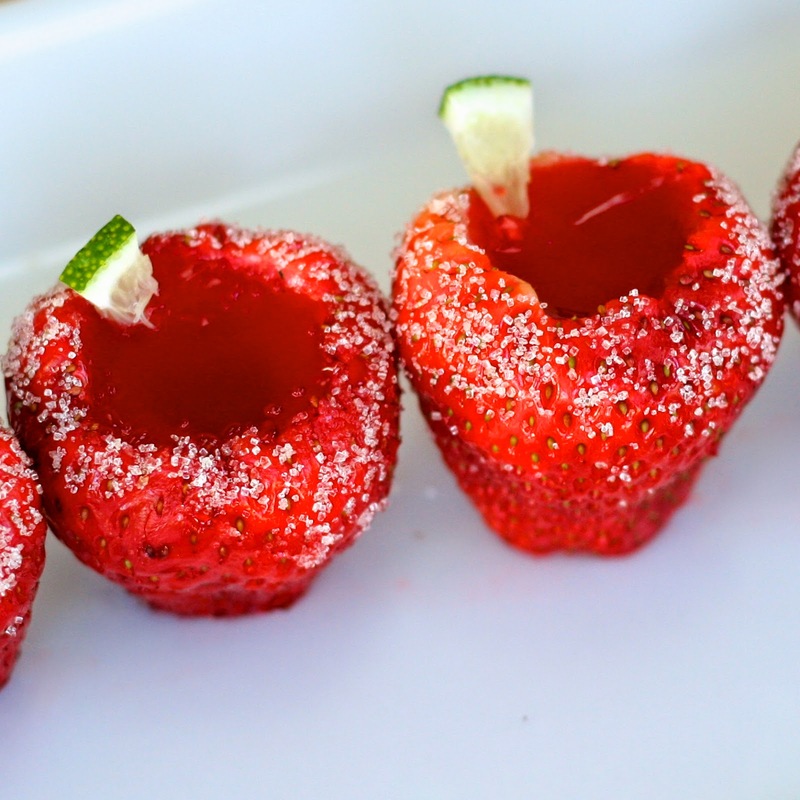 These strawberry daiquiri shots are reminiscent of my strawberry cheesecake shots I posted on the blog in May of 2012. The best part about both shots is the vessel that holds them is edible so you get the boozy fun of a jelly shot combined with a deliciously sweet strawberry. The alcohol in each bite is minimal, so they really become more dessert than cocktail. To get the recipe and see the technique, head on over to Tablespoon. I am making a shopping list and making tomorrow! I know what I'm preparing for my housewarming now!